When at the age of three months our daughter started showing a preference for grabbing things with her left hand, hubby declared that she will become an artist. I tried to convince him that it is too soon to tell (I researched) but he remained unconvinced. When Birdy learned to roll from her back to her belly before reaching four months of age, hubby decided that she will be an athlete and begun wondering who she might have inherited that from as neither of the two of us is particularly sporty. Before you decide that my better half is a too adoring daddy let me reassure you: he is just as quick at calling our daughter Dumbo when she succeeds to grab at a toy but cannot figure out how to get it in her mouth and wonders who will support us in old age. All jokes aside, it does not really matter whether Birdy becomes an artist or an astronaut, an athlete or a rocket scientist, a politician or a musician. We just wish that she grows up to be a good person. Not a bad goal to be working towards, right? P.S. 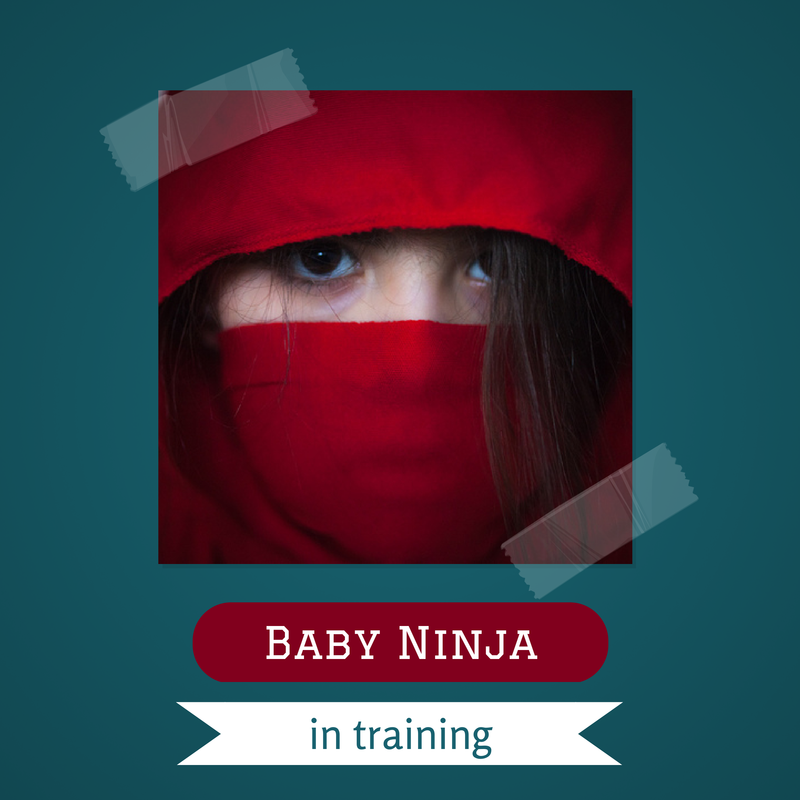 In case you were wondering – “baby ninja” was coined by a good friend of mine when I first told her about Birdy’s nighttime adventures of rotating on her back and turning on her belly. These days I never know what position she will be in when I open my eyes!